Still haven’t bought your mum a gift for Mother’s Day? Are you running out of ideas? Below I have collated a list of last minute gift ideas that are sure to make any mother happy this Mother’s Day! You can never go wrong with nightwear. Whether you want to buy her pyjamas, or accessories such as slippers or a night gown, you are sure to find something for your mum. To make this gift that little more special, visit your nearest Peter Alexander store where they have everything you need to purchase that perfect last minute Mother's Day gift. Skin care products are always a winner. The Body Shop offers great and affordable products that can also be purchased in gift packs. The Body Shop have a variety of different items in different flavours such as coconut, mango, strawberry and honey, there is sure to be something your mum will love. A popular Mother's Day gift pack is the ‘Basket of Strawberries’. This pack includes strawberry body butter, soap, shower gel, body polish and a body scrub. It is also available in other flavours including coconut and shea. There is always friendly staff in store to help you choose the perfect gift! You can never go wrong with buying your mum a piece of jewellery. If your mum loves her accessories why not buy her something that she can wear like a necklace, charm bracelet or a pair of earrings. 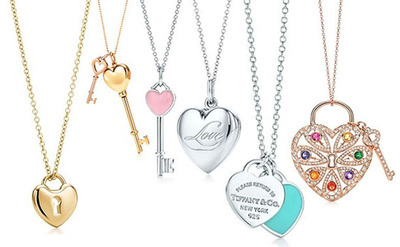 You can find beautiful pieces at Pandora and Tiffany and Co if you are looking for something extra special. Perfume is a popular gift idea. With many different scents on the market, there is sure to be something that your mum will love. Many department stores have perfume gift sets just in time for Mother's Day. Myer and David Jones Stores are great places to find that perfect scent with many helpful staff ready to help. Candles, picture frames, vases and throws are all great gift ideas. You can never go wrong with buying your mum home accessories as long as you choose an item that will match. Great home wear stores include Adairs, Bed, Bath and Table, and Freedom. With Mother's Day not far away, there is sure to be something that will be perfect for your mum. If there is more than one thing that your mum will like, keep these items in mind for other occasions including birthdays and Christmas, or, just buy your mum something because you love her and she deserves it!